At Tiga Hair Spa we operate as a close knit family, not only professionally but also emotionally. We have all worked together closely for many years and colleagues and very dear friends, some of us since we opened all those 10 years ago and well before! We spend a lot of time laughing, it’s never a dull day in the salon, especially when we are all in together!! We absolutely love to create together, putting all of our idea’s into one big pot and seeing what creative genius can come from it. Here are some pictures of us all and the basics you may want to know about us, we hope you may want to get to know us a little better… We have named ourselves “The Tiga Family” because that is exactly what we are, a Creative and very happy FAMILY. Stuart has enjoyed very extensive experience in the hairdressing industry. He opened the salon doors in February 2006 and his aim was to offer a lot extra for a little bit less. 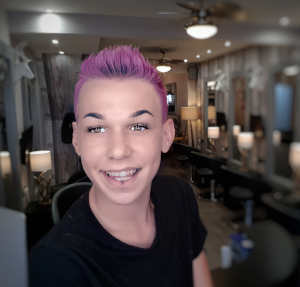 Stuart is fully qualified as an Advanced Hairdresser and stays on top of new techniques and the latest product knowledge. He has also previously spent several years working as the Head Technician for the professional salon brand Alfaparf Milano, travelling the country and globe educating other qualified stylists new techniques and product knowledge. Although he no longer takes on the responsibility of this role his passion for the brand remains the same, offering only the best quality in haircare and salon services. 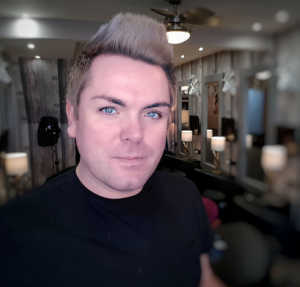 Stuart considers his Job to be his favourite hobby and loves to share his passion and creativity with everyone… Stuart specialises more in the technical aspects of hairdressing such as cutting, colouring and advanced chemical services such as hair reconstruction and texture reforming. Senior Stylist, Gel FX Technician. 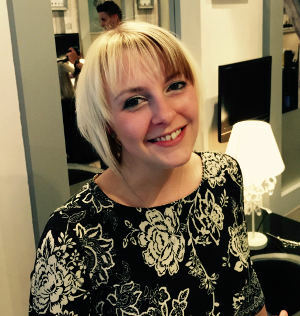 Charlotte has worked at Tiga Hair Spa for over 9 years, starting off as an ambitious, yet shy apprentice we have watched her blossom and flourish into the fantastic stylist she is today. She has trained to Advanced Stylist Level and specialises in nearly all aspects of hairdressing and can offer all services offered in our price menu, tending to take a preference towards the more technical side of things, pretty much working hand in hand with Stuart. Charlotte also acts as the salon’s backbone, keeping Stuart in line and the salon well organised. She also specialises in Gel FX Gel Nail Polish, to add diversity to her already extensive list of skills! Dee came as part of the fixtures and fittings when Stuart opened Tiga Hair Spa, she has worked with the salon since the very day it opened and has worked very closely with Stuart in obtaining the Tiga Ethos from day 1. Dee solely operates the salon on a Monday and Tuesday offering a more peaceful and Tranquil environment for those who are not a fan of a busy salon. 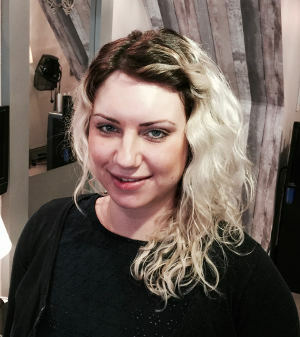 She has qualified to Advanced Senior Stylist Level and specialises in Classic Hairdressing and Take-Ups, the more sophisticated one of the Tiga Family. She also specialises in all the services within the Tiga Hair Menu. Dee is also one our Wedding Experts, either offering her services in salon on your big day or travelling out to your venue to make life that little bit easier for you! Senior Stylist, Wedding Expert & Education Specialist. Back in the day when Stuart was a wee apprentice Lauren was his first boss, teaching Stuart the fundamental basics of all he knows. Lauren has now worked with Stuart and Tiga Hair Spa for the past 5 years reunited the Fantastic Duo once again! 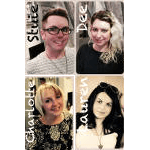 In between this period Lauren qualified and became a Teacher for qualifying hairdressers at College and has undertaken a vast amount of extra advanced qualifications in both education and hairdressing. Her creative flare for all things hair never diminishing and we absolutely love her contribution to The Tiga Family. Lauren is our also one of Wedding Experts and is an Advanced Hair-Up Expert. 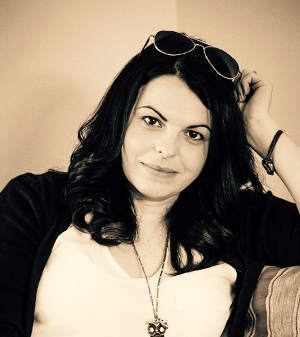 Lauren works to advanced levels in all that she does and and has wealthy years of vast experience in the industry.